Pave Set Engagement Ring with 1.03 carat Round Brilliant Center - 14k White Gold - Ring Size 5.75-6.75 was added to your cart. This design is sweet and delicate. The Contemporary Nexus Diamond center stone is set in a simple four prong setting that allows it to sparkle in all its glory. 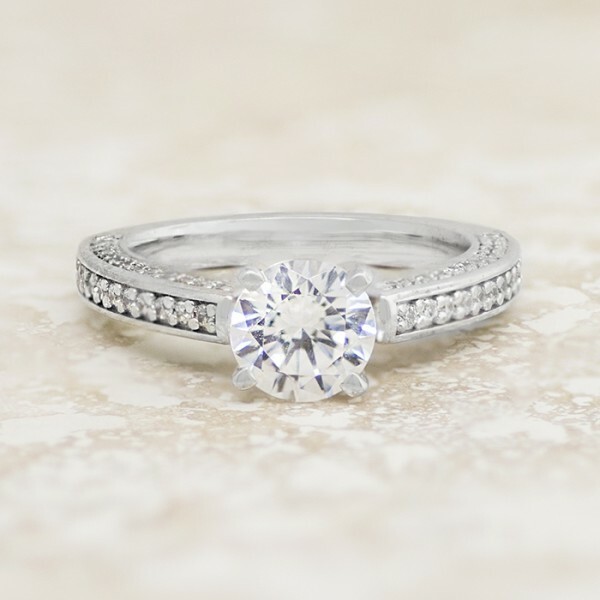 The slender band and shoulders are set with Nexus Diamond accents on each side so it shimmers beautifully.